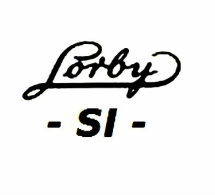 For purposes of this Agreement, “Service” refers to the Company’s service which can be accessed via our website at www.lorby-si.com or through our mobile application. The terms “we,” “us,” and “our” refer to the Company. “You” refers to you, as a user of Service. We do not collect “Personal Information” about you. “Personal Information” includes information that can be used to personally identify you, such as your name, address and email address. We may collect “Non-Personal Information” about you. “Non-Personal Information” includes information that cannot be used to personally identify you, such as anonymous usage data, general demographic information we may collect, referring/exit pages and URLs, platform types, preferences you submit and preferences that are generated based on the data you submit and number of clicks. We do not sell, trade, rent or otherwise share your Personal Information with third parties.